Does the Rubber Meet the Road on the Path to Purchase? Thanks for nothing digital ecosystem. Let’s start at the end. I’ve been riding on brand new Nokian WR-G3’s for the past few weeks in the very changeable NYC weather. Suddenly, driving is “way more fun”. My car, a 2001 Subaru Outback H6, is reinvigorated and I am attributing it all to the tires, the actual tires. How did I discover the tires I really wanted? Word of Mouth and phone calls were the only things that worked. Every other aspect of the digital ecosystem that surrounds the path to purchase for a set of tires is horribly broken. Failures. Full stop. The entire ecosystem has failed at providing me any value at all points along the path to purchase. Make me aware that I might want to buy a new set of tires and why – I just thought you waited for the treads to wear down. Get me relevant information about what is available – the search engines do not help you get to useful information, the return a bunch of SEO friendly pages that are simply ads. No direct useful info from the brands themselves. I’m a brand new Nokian brand loyalist and Nokian doesn’t know I exist or how I found them. If you think I am beating up on Nokian, you are missing the point. The entire ecosystem failed itself. As I went down the entire path to purchase, not a single entity that I touched collected any actionable information from me. They don’t know what MY path to purchase was. They weren’t helpful in any of my “moments of truth”. They don’t even know I made a purchase. The number of missed opportunities is staggering. Think this is limited to tires? I am having the exact same situation purchasing a replacement dishwasher. This sorry state of affairs is everywhere. In every “industry”. In every “vertical” It’s in B2B, B2C, B2B2C, Bricks & Clicks, physical & digital. For 30 years, I’ve been professionally neck deep at the bleeding edge of what we now call “Digital”. Despite the blistering pace of technical achievement and adoption, despite huge investment and effort by the various brands and channels in the ecosystem, buying tires (or dishwashers) today is more horrible than ever. Having participated in hundreds of digital marketing initiatives aimed at improving this situation with some very talented and well intentioned people, the goals are far from being achieved. Looking back, a handful of fundamental principles have emerged as persistent blockers to successfully seizing the opportunity. Individually, these principles are simple. They are not new. They are well researched and documented. However, it is the connection of these principles into a coherent approach for establishing digital brands that have real impact and lasting value. To be clear – this is not about “the Uberization of X” – it is much more than that. You may already have some of the principles in your mission statement – the point is how those words are turned into action. It is how the principles are applied to all aspects of the organization. It gets to the very heart of organizational culture and what your brand wants to be known for, in 50 years. Those who are brave, who reconsider their place in the ecosystem, and make a sustained investment, the opportunity remains. Yes, a story about tires can lead to turning point. You want to build a personal relationship with your customers, become a constant companion and trusted advisor. Your customers deserve the professionalism embodied by the best coaches, concierges, maître’s d, doctor, teacher, and bartenders – well informed and impeccably discreet. However, this level of human attention simply does not scale. Fortunately, the ubiquitous mesh of digital devices, applications, services, and connectivity is here capturing every aspect of a person’s life. All this data, coupled with accelerating advances in computational techniques and ever falling compute and storage costs, mean the algorithmic attention you can lavish on your customers is boundless. 1) The capability of the person or algorithm to take in a set of disparate information and synthesize it into meaningful insights. 2) Sufficient, up-to-date, accurate information describing a wide swath of the customer’s life – their context – for the algorithm to process. The data available through social networks may be helpful, but is insufficient. For illustration, let’s consider a hypothetical service called MyBabyBlends. MyBabyBlends is a nutrition program for babies. Subscribers will receive direct shipment of locally grown, seasonal ingredients that can be, following our carefully curated recipes and meal plans, prepared into fabulous baby foods. The selection of ingredients tailored for your babies through the use of a sophisticated child development and nutrition algorithm. Tracking the daily activities and developmental progress of your babies, it’s like having a dedicated nutritionist shopping and menu planning for you. Baby’s names – for families with more than one, you need to create a profile for each child. Baby’s vitals – birthdate, weight, height, known allergies or sensitivities, current ailments or medication, blood type, etc. Dietary restrictions – vegan, kosher, halal, paleo, etc. Current location – if you go away – the shipment will meet you and be adjusted to your new location. Parental eating preferences so we can get baby on track to join you in a hearty kale salad or a bowl of pork and habanero chili. Genetic information – a DNA sample will provide the best results, in lieu of that the parents can answer a comprehensive questionnaire about the baby’s heredity. This is the new face of personal data. It is not about cookies, or purchase history. It is not about traditional CRM . It’s more than social media. Quantified self and the Internet of Things are a part of it. This is the Personal Data Ecosystem that the World Economic Forum, Boston Consulting Group and others have estimated will create trillions of dollars of value stand in the next 4-5 years. These estimates have also asserted that 2/3 of that value will be left on the table if a viable solution to digital identity and data access is not established. Getting the data required poses a number of challenges for both the user and the brand. Effort – How much effort is required to get started and then maintain the program? Will the user be willing to manually input this data just to try this one service? Can that data entry be leveraged for other products and services? Trust – Why would I provide all of this information to a high-tech grocery service? Who else will have access to my child’s data? How do I know it is being handled appropriately? Liability – What liability is a brand exposing itself to as it collects more intimate information about its customers? If working with partners to provide the service, how does that impact the liability question? Infrastructure and Governance – Does the brand have the appropriate systems, staff and procedures in place to manage this sort of information? Policy & Legislation – There has been increasing public policy and legislative action activity globally with respect to personal data. Some of the initiatives have found that existing terms and conditions agreements in use do not meet the privacy rights of their citizens. Others are looking to insure that data regarding their citizens remains within their borders. The solution lies in the establishment of Personal APIs, a means for a user to aggregate their digital information, wherever it may live and then provide, on their own terms, programmatic access to that data. This gives users a single place to keep up to date information and manage who has access to what and when. It also gives brands a simple way to access user while respecting both the users’ terms and the legal constraints of the market they are operating in. Furthermore, it may reduce liability because it allows for the development of application that use the personal information, but do not store it. There has been a tremendous amount of work done establishing the foundation for Personal APIs under a variety of names including: IdM (Identity Management), Project VRM (Vendor Relationship Management), UMA (User Managed Access), Trust Frameworks, Privacy by Design, Personal Clouds, Data Vaults, Personal Data Markets, and Identity Ecosystems. These initiatives have failed to gain widespread adoption, because the value proposition for both sides of the market (users or the brands) has not been strong enough, until now. This is the moment for a few leading brands to step forward and catalyze the Personal API movement and realize the dream of meaningful personalization. For those interested in getting involved, the Internet Identity Workshop (IIW) is a great place to start. This un-conference has been convened twice a year since 2005. IIW 18 will be happening October 26-28 at the Computer History Museum in the heart of Silicon Valley. Family CTO Roadtrip: What’s in your CTO Go Bag? It’s the time of year for family vacations. All you need is a car, a family, tons of stuff to pack, and a rental agreement for a vacation house. When I was a kid, that meant making sure my favorite cassette tapes were packed. And a book or two. Today, the Family CTO needs to be prepared to provide the same high level of service in what can be strange and sometimes inhospitable conditions. During the loadout this year, I realized that what I need is a “Go Bag” that just sits in my car, always ready to facilitate adventure. 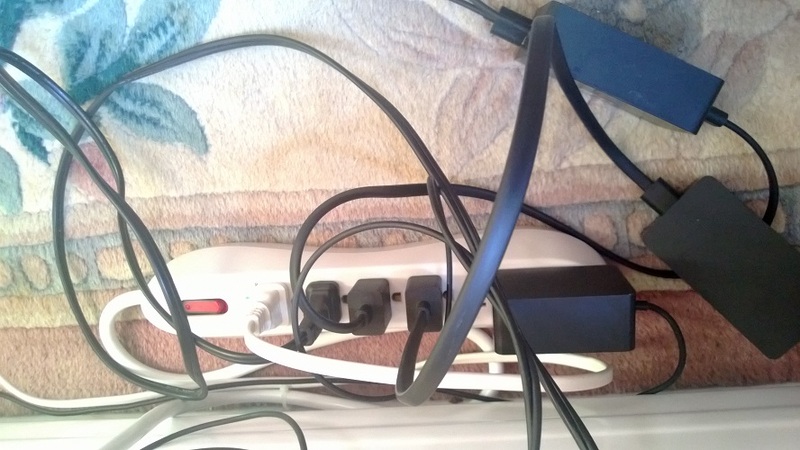 3 prong-2 prong AC outlet adapters – do folks outside the USA have this problem? Cheap Speakers – because after you realize that you will never be able to connect your tablet to that old TV set, you need to hear what you are watching on your tablet or laptop. Audio Cables – my preferred set up is two 3.5mm Stereo Male to Two RCA Stereo Male Y-Cables and a pair of Female-Female RCA adapters. This will help you out if you need to plug your audio source into whatever they call a stereo in the house – the Aux In may be the 3.5 Mini Stereo or it may be Male RCA jacks. USB Card Reader – because you never know who is going to show up with what camera or phone. Hand Crank Flashlight & Radio – lest you forget the realities off life off the beaten path. A good old paper book with survival skills may be handy too. Inflation Pin for Football/Soccer ball (if you have kids you should have these everywhere). Wire (lamp wire – zipcord), Wire strippers and electrical tape – for those moments when you have to take interop into your own hands. rechargeable batteries, if you are using stuff that has those kind of batteries. cheap replacement headphones, two pair – because someone is going to lose/break theirs. Old SD Cards and Memory sticks – sneakernets work great in the country. A back up phone with a pre-paid sim, so when you drop your precious phone in the drink, you can still call for help. Backup Hard drive with images of the machines you are bringing. Power Inverters for as many power jack as your car has. For retro sake I still have a portable DVD player and some classic movies. This list is available at familycto.org’s github repo. Please feel free to add to it, make additions, share it and the like. 3 Camera (DSLR, old point and shoot for the kids, and a cheap one that works underwater) – battery charger for the DSLR, proprietary brick for the point and shoot, way too many AA’s for the underwater cam. A quick post – and I realize it has been a while. Recently, I had the good fortune to visit one of my favorite places, Barcelona. 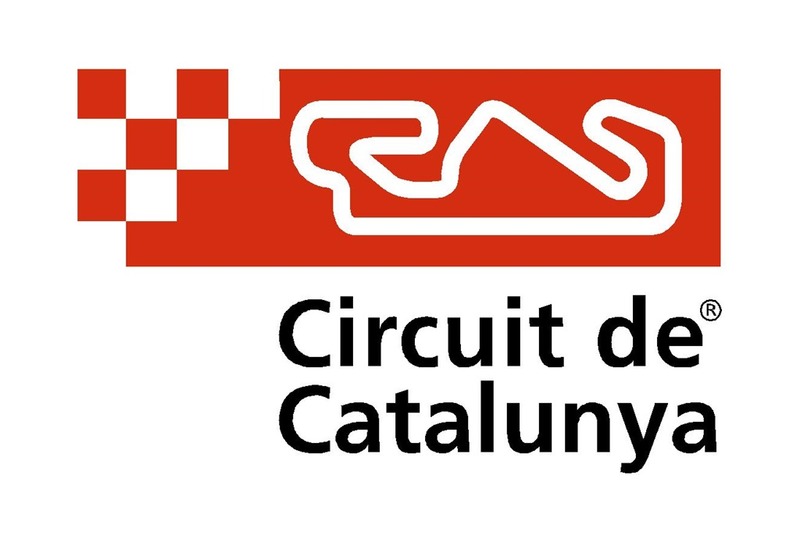 I was particularly lucky to have been there while Formula One Winter Testing was taking place at Circuit de Catalunya. On Friday 2/21/2013 I had the good fortune to see some incredible talent and technology in action. Today, I found myself immersed in Pinterest. It happens sometimes. I was on a scavenger hunt for images related to Ray & Charles Eames, Alexander Girard as well as Saul Bass, Massimo Vignelli and Paul Rand. 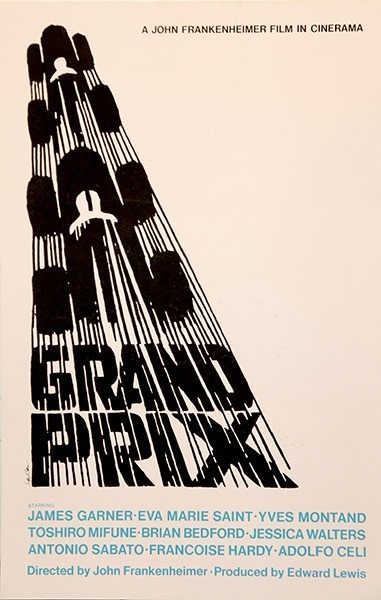 At some point I came across a Saul Bass movie poster I had never seen for the 1966 Frankenheimer film “Grand Prix” – and the need to blog hit me. 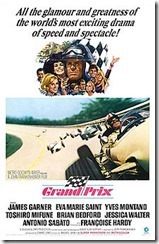 I have seen the movie many times – the title sequence (which I now know was done by Bass, along with many of the race sequences) always blew me away – Dwell magazine seems to agree. 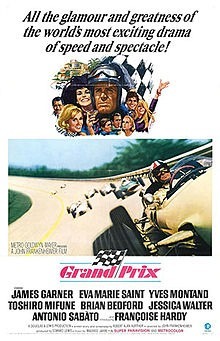 And holy cow – if you ever want to go deep on Saul Bass title sequences, you need to go here – oddly Grand Prix is absent from this great title sequence site which I learned about while listening to 99% Invisible Episode 28 – you should listen to them all. How anyone in their right mind could put aside this fantastic Saul Bass poster and choose the other is beyond me… well… I see that sort of thing every day, but it really is a bit tragic. So, I started digging around to see if anyone has any mention of it. All I can find is this bit about how rare original silkscreens do exists. If anyone has one, I’ll take it. And so ends this little roundabout post. Let’s close with the sights and sounds of F1. WordPress – Azure – Remote Desktop, almost. Satish got back to me and now I am in the process of contacting Azure Dev Support – who will hopefully be reading this post shortly. I’ll get back to everyone – updating this post – once I hear more. Looking forward to next steps. Issue Definition: We understand that you are facing issues while creating endpoints when deploying a solution and would like us to investigate on the issue. Scope Agreement: To provide you with the cause of the issue and to help you resolve the issue that you have. Hope the above information is useful to you. Please accept our apologies for the inconvenience caused. Let us know if you need any further assistance and we shall be glad to assist you. I now need to run an additional test – if I turn OFF RDP, then I believe the deployment will be successful and the explanation provided will be insufficient. More news as it develops. Update # 2 – Allowing RDP seems to be using up my Endpoints! By that I mean that I created the package without enabling RDP and the deployment went fine and Windows Azure Companion works fine. I them packaged the exact same built, this time enabling RDP and when I deployed I once again got the message about Maximum number of endpoints. So, what does this mean? Does enabling RDP use up your available endpoints?? Thank you for the quick response. We would like to inform you that in your case, our cloud integration team will be able to work with you and resolve the issue at a quicker pace. We have escalated your issue to our cloud integration team and one of our engineers will contact you to work with you to resolve the issue. Meanwhile, if you have any further questions or concerns, please feel free to contact us and we shall be glad to assist you. I am looking forward to working with the cloud integration team! More news as I get it. OK, part of my goal for the holiday weekend was to start digging a little deeper into Windows Phone development (amongst other things). 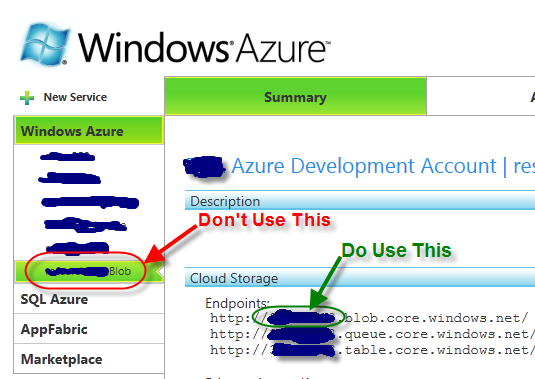 Right off the bat, I sidetracked myself and decided to play around with deploying WordPress in Windows Azure/SQL Azure. Both of you who read this blog know that I have been involved in the Orchard Project and that I am really excited about the progress there. However, I have been saying for a long time that it is all about interoperability – so for Azure – I needed to see what it was like deploying WordPress, using the Windows Azure Companion and this great writeup from Jim O’Neil. After a little head scratching – mostly about the where you find the WindowsAzureStorageAccountName – it is not the friendly name that shows up in the account – see screen grab – it is the name in the URI. Anyhow, that all went amazingly well. At this point I could provision a WordPress site in about 15 minutes. There is one caveat, for the time being, as the Windows Azure Drives are read/write for one web instance and read only for any others – you can only scale up (go to a bigger instance), but not not scale out to multiple instances. This is not a major concern for the types of deployments I am looking at and I am certain that folks are working on the requisite enhancements to remove this constraint. But, I digress. This post is about progress on the Windows Phone App I am working on. One of the key components is being able to have the phone “Speak” to the user. Bing Translator has that capability – exposed with a number of web services APIs. As this is Silverlight, you need to use the Async Methods – for simplicity – and to rail against the prevailing wisdom I am using the SOAP service (when the tooling is there it is so drop dead simple). But frankly, I was a little rusty on the async syntax and the hoops you have to go through for playing back the audio file that the service returns was a little arcane for a newbie. So, I set off to find a good example. There were a few blog posts with code snippets that were of no use to someone not already really proficient. What I needed was a sample project to “study”. After a total of two hours of searching – sadly even fellow New Yorker Charles Petzold’s 1,000 page free opus on Windows Phone Development was no help – I stumbled onto this post with a great reply from babaandthepigman his avatar may be a can of spam, but the sample code posted here was as fine as jamón ibérico de bellota. So thanks to Baba, I have cleared the major technical hurdle. More to come! Follow Nick's board F1 & Autos on Pinterest.